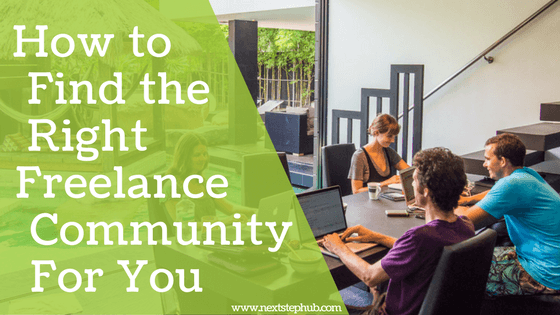 A freelance community necessary to your growth as a freelancer. The freelance life comes with awesome perks, but it has downsides as well. And one of them is the feeling of isolation, especially to those who work from home. But if you’re part of a freelance community, you can easily combat loneliness. A vibrant social circle gives you a sense of belonging. It offers the chance to connect with people who will motivate and support you. A community can open meaningful relationships and terrific opportunities as well. This week on Five Tips Tuesday, we’ll help you connect with the right community for you. Check out the huge Freelancer Fair that happened in the Philippines. Learn how to build a meaningful social circle. Find out how you can reach out to your network. Discover the social media sites that can help you find the right community. And last but not the least, get the book for introverts who want to improve their networking skills. The gig economy is getting larger in Southeast Asia, particularly in the Philippines. In the fact, there are about 1.5 million freelancers in the country. Ginger Arboleda, CEO of Manila Workshops and COO of Taxumo, organized an event called The Freelancer Fair. Here freelancers finally met and connected with each other in one place. Check out how the event went. Isolation and loneliness can be bad for mental health. And freelancers are often prone to this. As a freelancer, making new friends can be challenging. But like any other skills, you can easily learn the art of creating a meaningful social circle. Here are the 3 steps to finding new friends. Networking can help you land new clients and opportunities. It can also help you build the support system you need. But it can be scary and awkward, especially for new freelancers. Find out the right ways of reaching to your network. Social media sites have amazing benefits for freelancers. Aside from allowing you to showcase your skills on these platforms, you can also connect with like-minded people. Here are the top social media sites you can use to find your community. Are you an introvert who finds it hard to connect with other people? Do networking events overwhelm you? If so, there’s a good book for you. Written by an avowed introvert Devora Zack, “Networking for People Who Hate Networking” is crafted for introverts who want to improve their networking skills. In this book, Zack shows that ‘faking it’ or becoming an extrovert is not the only answer to connect with a community. How do you connect with the freelance community? Do you have other tips to share? Tell us in the comments.